Add radiant luxury to every look with this stunning ring in PANDORA Shine™. 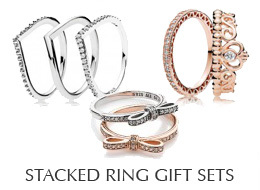 The 18k gold-plated sterling silver design is pave-set with glittering stones. Stack yours vertically or layer across fingers for a cool take on the stacking trend. Modern LovePods ring in PANDORA Shine with 56 pave-set clear cubic zirconia.